Writing Kanji is probaly the toughest thing about the Japanese language. While it’s possible to input Kanji via the Japanese IME on a computer, doing so on other electronic equipment still can present a challenge. Thankfully, there is a new device called the Tagtype that tackles the problem a little differently. 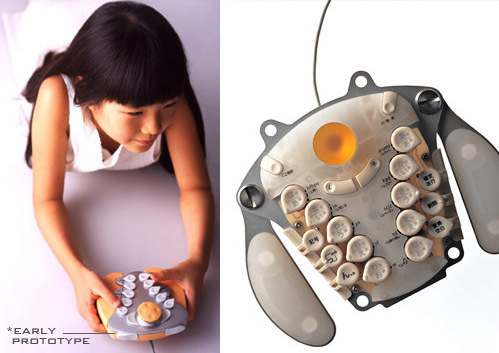 The Tagtype was developed by Shunji Yamanaka and Kinya Tagawa as a way for handicapped to input Kanji. However, they have shifted focus in order to make the Tagtype a universal input device for television, computers, and video games. It’s still in the prototype stages, but things look interesting. If you want to build your own, check out the Tagtype garage kit.